Metallic epoxy floors are taking off like crazy. What started out in the US as a fad, are now spreading to all corners of the world. In the past two years I have slowly immersed myself into metallic floor coatings. And after hundreds of experiments, most of which failed… I feel confident enough to share what I have learnt so far. 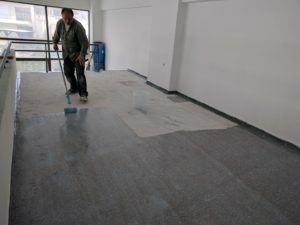 So here follows my guide on how to apply metallic floor coatings. 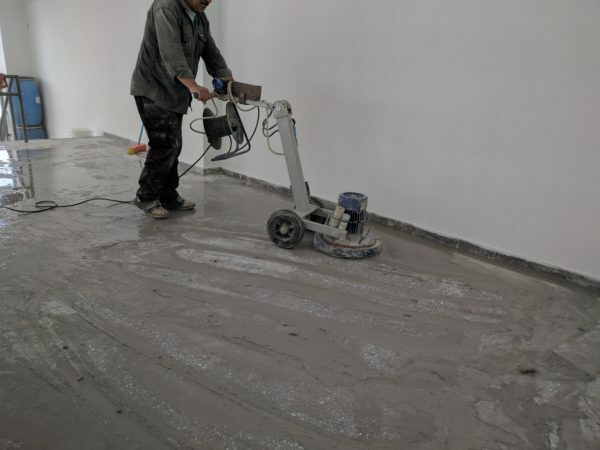 After grinding you will need to apply an epoxy primer to ensure adhesion between the coating system and the floor. A very important point to keep in mind is that metallic floor coatings are very very sensitive to dust, uneven surfaces, holes. The slightest deficiency can cause a surface defects. 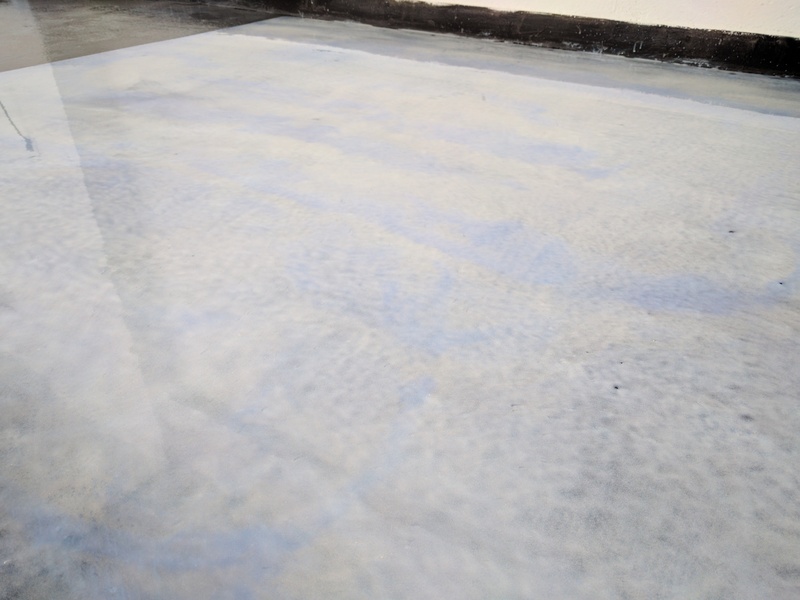 Therefore through cleaning and wiping is essential throughout the coating process. 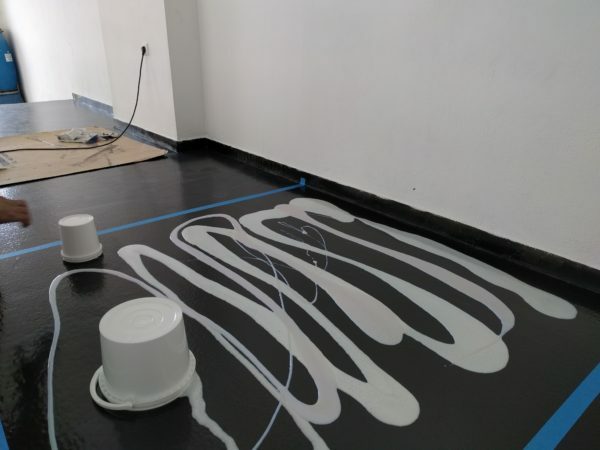 Many metallic colours like blue, silver, icy white won’t look good on a floor if the base is not blacked out. For some other colours like bronze or gold the difference will be less pronounced. C- the metallic colouring component – this can be either in powder form or paste form. Personally I prefer powders. Most companies should supply the recommended amount for the corresponding resin. Applying the metallic coating and achieving the desired result really is an art. The final texture and method of application is up to you. Here are some good points to know. You are free to apply one colour, or a combination of colours. Each colour should be mixed in its own separate epoxy pack. Do not try to mix in two colours in one pack, as very often the stronger colour of the two may dwarf the weaker one thus eliminating the multi-colour effect. In total aim to apply about 500-700 grams per square meter of metallic product. If you apply less than that amount, you may run into coverage and fisheye problems. If you apply more product than the recommended amount the increased thickness could end up blocking the light and hiding the metallic effect. 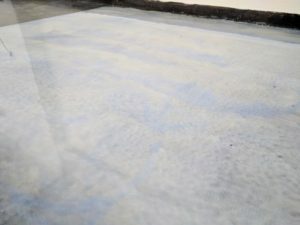 Spread the product out evenly with a squeegee or a mohair roller to back roll and uniformly distribute the product. Again I want to remind you any dirt, dust or particles caught in the coating will cause surface defects like comets. make sure you have cleaned everything properly. As the metallic will be prone to scratches you can apply a clear topcoat to protect the surface. However there are all sorts of problems associated with clear topcoats, that you can read about here. 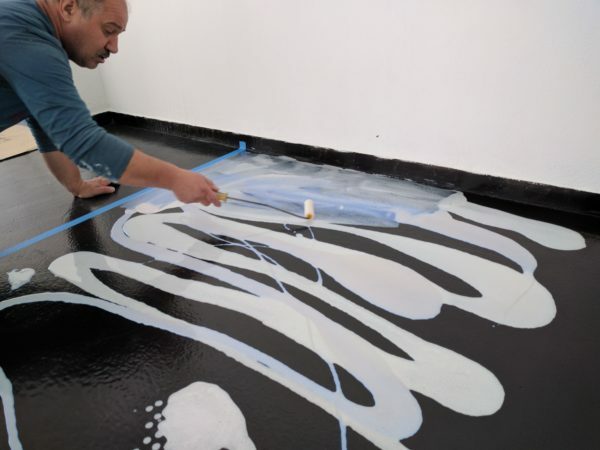 Some important points about the products: Some people mistakenly assume that any clear resin and any metallic pigment will do. This is wrong and risky. Most clear resins that are sold as raw materials have not been formulated properly. You could face a bubble or a cratering disaster. Also not all pigments are compatible with epoxies. It’s taken me years of trial and error to figure these things out. 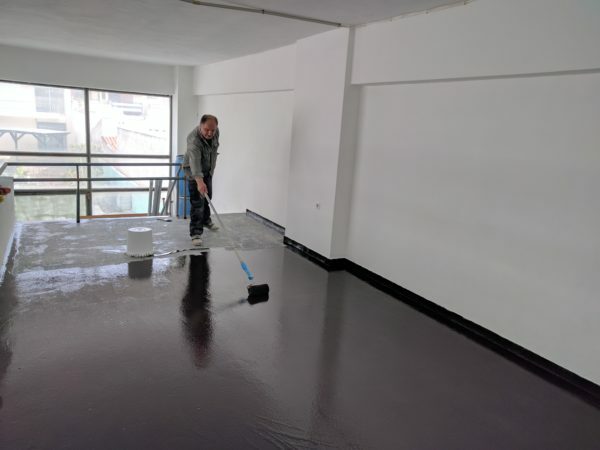 If you are interested in buying metallic floor coatings I am happy to inform you that my company in Greece can supply you. Please contact us at (office (at) ktisis (dot) eu) for more information.